Our pre-school really is one of the most special places on the farm. We have 130 little ones in the school, ranging from a few months to 6 years old. Their day starts very early as they travel to school by bus from nearby farms. This means they get tired and need to take a nap. 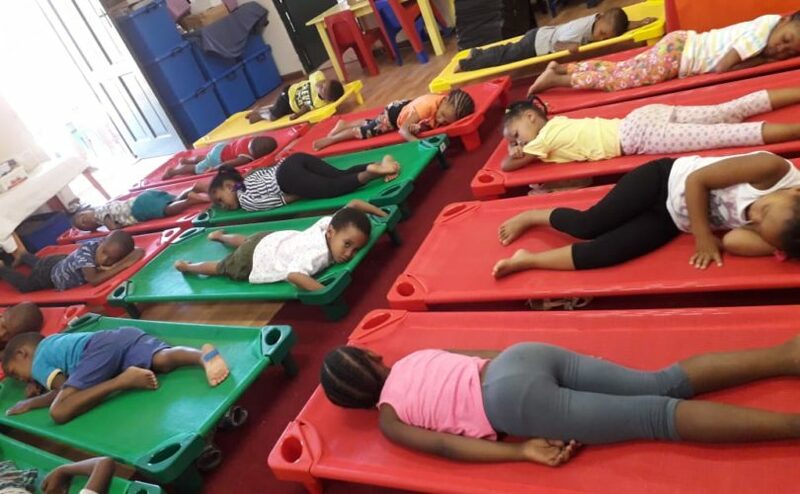 Our wonderful teachers wanted to get them new mattresses and they did some research and found an alternative which is more hygienic and also lifted from the floor, almost like a stretcher, which is great especially for winter when the farm is so cold. The children are so chuffed with their new little beds that nap time is now something they look forward to everyday. Allowing our children to rest is so important as it helps them learn what they need to, to prepare for Grade 1. We are so happy they were able to get their new beds!